Home / Daily Fantasy Sports / What States Might Be Next To Pass A Fantasy Sports Law? Virginia became the first state to enact legislation regulating the daily fantasy sports industry, and Indiana is set to be the second. What states might be next? And what states might have a tough time reaching the finish line in 2016? The situation is fluid in most legislatures; check out Legal Sports Report’s DFS State Watch to keep on top of all the action in the states. Bills in several states have already missed adjournment deadlines. Answering this question is a difficult proposition, and usually involves a number of variables in each state, into which we often have limited visibility. And some states — see Virginia — are moving ahead at a lightning-fast pace, at least by state legislature standards. Mississippi, despite not being a huge state, has been a battleground of late. The attorney general declared that DFS is gambling in January; DraftKings, FanDuel and many other operators left the state soon after. The action by the DFS duopoly was perhaps the most interesting part of the dynamic. While the two companies have generally been fighting for legality in similar states — see Illinois and New York — they left Mississippi. And the bill has moved quickly, so far — it was introduced in February and passed the Senate in March by a 48-3 vote. Mississippi is supposed to adjourn in late April, so the House has enough time to consider the bill. Given the early momentum, Mississippi seems like one of the best bets to pass a DFS bill. And that would be a big win for the industry — reversing a negative attorney general opinion. Tennessee’s legislative effort has largely stayed under the radar, and neither of a pair of companion bills has made it past a vote in a full chamber, yet. But there has been real momentum behind the effort in committees so far — two more hearings are scheduled for next week. And that forward push comes with an apparent desire to get something done by the scheduled April 20th legislative deadline. So while there is a lot of work left to do, Tennessee seems to be one state where 2016 is a real possibility for DFS regulation. The bills are different than most legislation, as they set up an “advisory task force” to deal with fantasy sports. And it would be an important state in which DFS could get legal clarity, as some believe it is one of the more “gray” states in terms of current law. Vermont is another state where there has been a negative attorney general opinion, with a chance to turn that around with legislation. A bill there has already passed the Senate, 19-6, and the bill is now in committee in the House. Legislation has plenty of time to get through that chamber by May, when the legislature is schedule to adjourn. Those are far from the only states with a realistic chance of turning DFS legislation into law. But without more progress, it’s hard to handicap which have the best chance, realistically. But Missouri, Connecticut and Alabama are the early favorites to join the states above. The list of states where there is a lot of uncertainty for legislation is a long one; but these states have issues in particular. While the legislative session doesn’t officially end until Friday, it appears DFS regulation won’t happen right now, despite a lot of progress in January. The issues regarding the Seminole gaming compact in the state have complicated things for DFS regulation, and attempts to add fantasy sports language to other bills have been stopped at every turn. 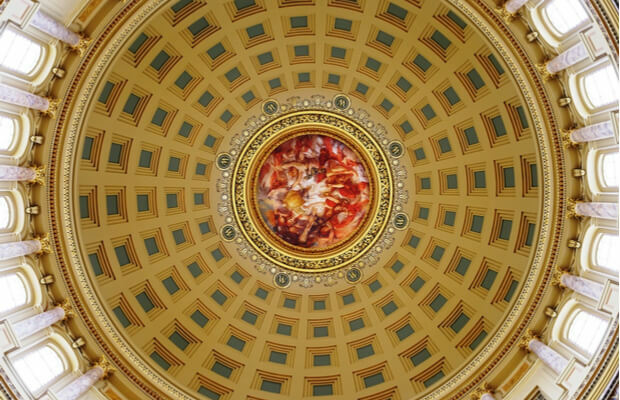 There is still a slim chance something happens with DFS; and there is the possibility that a special session of the legislature is convened after adjournment. But for now, DFS regulation appears to be a heavy underdog in Florida. At one point, West Virginia would have been in the list above. Now, its prospects for 2016 look dim. Despite passing a close Senate vote in February, the bill has gone nowhere in the House. The legislative deadline is on Saturday. Given all of that, it appears the DFS legislation will have to wait for Virginia’s neighbor. It might be too early to put California in the “trouble” category, but progress has certainly stalled in the legislature. After DFS legislation passed the state assembly with just one “no” vote, the Senate has done nothing with DFS in about a month and a half. It appears that tribal gaming concerns have become a roadblock to the legislation as written, and there has been chatter that the legislation could get an overhaul from the current version. California has plenty of time to turn this trend around, without the spring deadline concerns of other states. But after smooth sailing in January, legislation has an uncertain outlook. ← Previous Story Can UK Daily Fantasy Sports Market Gain Traction This Year?